Using trivia for a Profitable Business - TriviaMatic! In the bar and restaurant industry having a crowded place all week long is a huge problem. People get drunk mainly on weekends but as a business owner one wants to have a full venue on 7 days of the week. 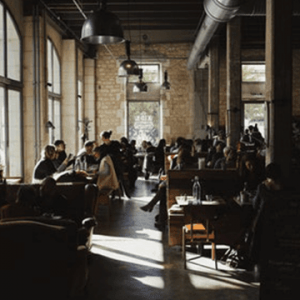 It’s not that easy to maintain the high attendance all the time but having additional activities and events help your bars and restaurants grow bigger and become more successful. There are many ways to improve your business but one of the most popular ways is hosting trivia nights. First played in the UK in 1970s, trivia gained popularity among bars and restaurants throughout time. People enjoy playing, competing, meeting new friends, while business owners enjoy the money trivia events bring to them. What’s more appealing to a customer, than drinking in his/her favorite place, playing and finally winning prizes? Trivia events mostly happen on mid-week, as on weekends the bars, restaurants and pubs are full and the owners don’t have to draw crowds on Fridays, Saturdays or Sundays. To maintain the status of the crowded venue, the business owners must be ready for what’s trendy at the moment, what’s likeable and what will bring them lots of money. But does investing in Trivia nights bring the business owner more profit? For sure, YES! If you initially have a successful bar that is crowded most of the time, than trivia events are a bigger support to your budget, but if you have low-attending business, trivia event is the best solution for you to improve your financial status. Trivia events increase average sales and provide the bars, restaurants and pubs with loyal customers. The same customers come week after week and after week to enjoy the trivia nights with their teammates and to win prizes. Let your customers bring more people to your venues and advertise your bar or restaurant by themselves. There’s no better advertiser than a customer, who comes to your place if not everyday, then twice or once a week to have a great night. Offering just good drinks and food is not enough to attract people to your business. People want to try new things, meet new people, feel the adrenaline in their veins and feel awakened after a long working day. What can the business owner offer to the customers so that they are active, want to order drinks and food more and come back in two days or everyday? Trivia is the answer! Download TriviaMatic, now available on Android and iOS and set up great trivia nights in your bars, restaurants and pubs. TriviaMatic team offers you the widest variety of games, with the most different categories. Want to have a movie trivia- play our Game of Thrones themed trivia game or the Marvel Universe game, with the latest news, movies and fun general questions. Want to have sports trivia event- TriviaMatic offers a great variety of sports trivia games, starting from different sports tournaments finishing with general sports games. What matters most about trivia, is the up-to-date content. TriviaMatic content team works on full-time bases to provide your customers with the freshest content, refreshes and does researches to have the most accurate data.